In our last study gathering, we leaned from Jeremiah 29:4 that we must acknowledge God’s hand in our lives. We are where we are by the Sovereign hand of God. I cannot tell you how many times this truth was brought to my mind as I went through my week. When I was tempted to think negatively about my current circumstances, I had to stop and realign my thoughts with the truth that God is in-control, bringing peace back to my heart! This week, I want us to look at the next two verses – Jeremiah 29:5-6. I love to sit out in my garden and watch the beauty of the flowers unfold as they bloom from Spring into Fall. Although my Spring flowers are 2-3 weeks late in the blooming process (thanks to an incredibly cold and vicious Winter), they are finally bursting through. I have three clumps of Japanese Iris that just bloomed yesterday. I counted one clump having 50 blooms on it. Talk about beauty in abundance! 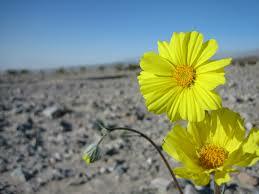 In essence, God wanted the Israelites to bloom where they were planted. Not only did He want them to bloom, but to truly settle down and dwell with contentment. Stop and think about that in your own life right now. Are you blooming where God has you? Are you dwelling – truly living in it – with contentment? As I considered these verses, I thought about the times that I have felt imprisoned by my circumstances, chained by conditions beyond my control. In these times, I have earnestly prayed to God and requested to be released from these circumstances. Sometimes, He has brought an immediate answer of “yes” and deliverance. Other times, He has said “no” or “wait”, and I have had to dwell in the difficulty, just like the Israelites did. It is in these times, when the answer is “no” or “wait” that the enemy loves to come along and plant seeds of discontent. If I allow the thoughts of discontent and frustration to continue, the only blooming that goes on my life garden are weeds, which choke out the beautiful blooms God is wanting to produce. Am I simply gritting my teeth and holding on the best I can? Do I bitterly complain about my circumstances? Do I stubbornly refuse to accept my circumstances? Am I withdrawing in silence and self-pity? Am I running ahead of God with my own escape plans? Do I frequently experience frustration and discontent? Spend time daily in His Word and prayer – seeking His presence, not just deliverance. Ask God to show you how you can serve Him. Is there someone in the grocery line you can encourage? Does your neighbor need your help? Is there someone that could use a visit from you or a meal? Could you write a note of encouragement to a friend? Does someone in your family need a little extra attention and loving? You get the idea…ask God to show you where, how and when to be His grace to others. Oh weary soul – Rest in this – God has planted you right where you are today. No matter what happens, trust His plan and be intentional to be the fragrance of the living God to all those whose lives you touch. Have a grace full week blooming right where you are!